The basic gameplay is simple: Keep Cool Dog from hitting anything. Cool Dog Don't Care is available on iOS and Android. There are several hidden features in the game. There is a high score board and achievements, integrated with their respective platforms. 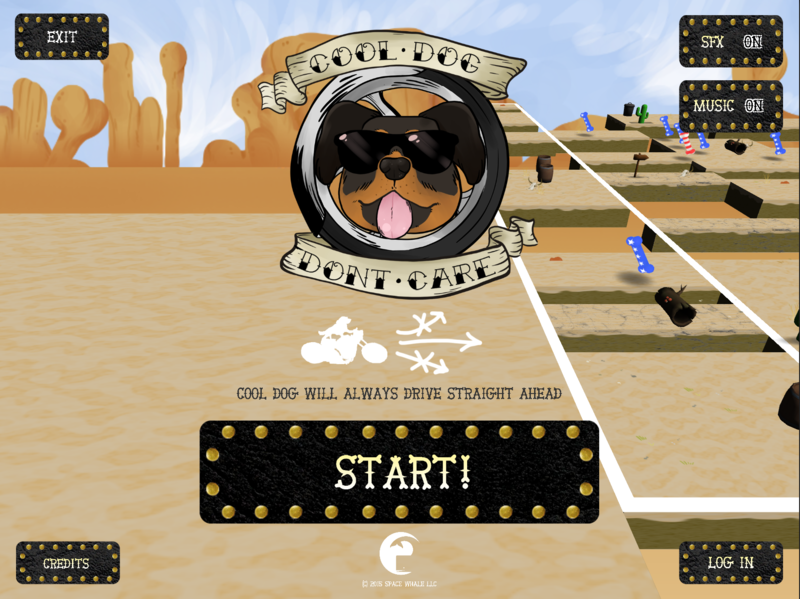 Cool Dog Don't Care is a game about a Cool Dog who Don't Care driving a motorcycle through the desert. 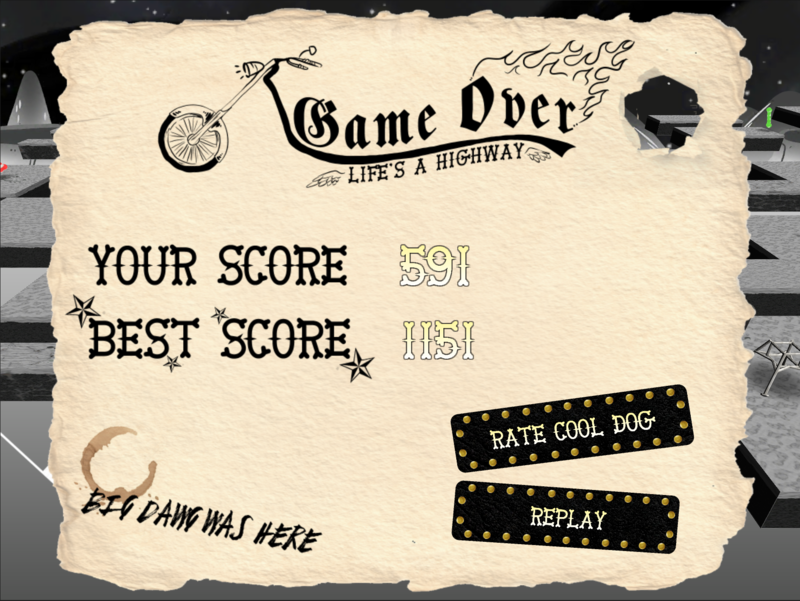 Since Cool Dog Don't Care, he's not going to swerve or slow down, even if he would fall off a ledge or run into a log. 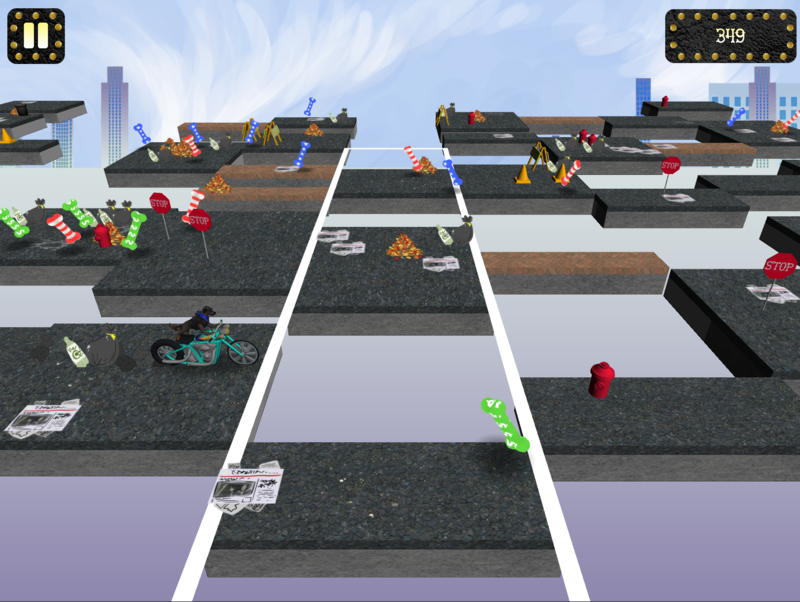 The player can shift the world around Cool Dog to keep the path clear so that he can keep going forward. 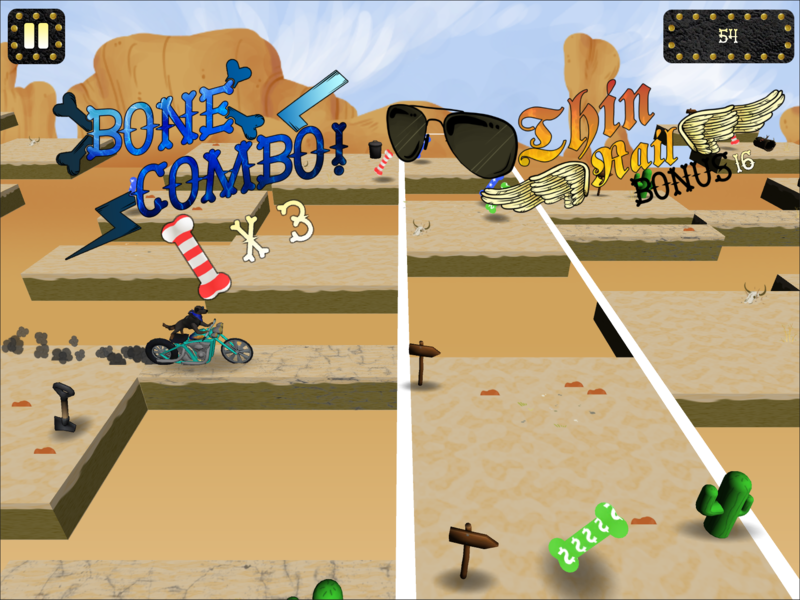 The player earns points by distance traveled, but there are extra points given from having Cool Dog ride on Thin Rails, and by collecting Bone pick-ups of matching colors. Cool Dog Don't Care was originally developed for the Philly Dev Night's Profit Jam. The point of the Jam was to make a game in one month, and earn as much money as possible from that game in the next month. At the time, I was contracting and had some free time, and decided to try very hard on this challenge. Since premium mobile games tend to earn their most revenue in the month they launch, I thought this was a decent approach for the jam. Other monetization strategies, I felt, would take too long to pay dividends. Cool Dog Don't Care is still playable, and details can be found on its official site cooldogdont.care.